Perfume 101 Class at Knows Perfume for February! Perfume 101 will be held again at Knows Perfume! 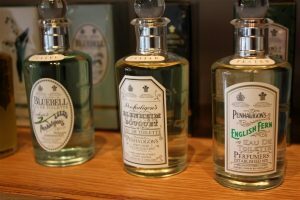 It covers fragrance history, perfume styles and composition, and if it’s anything like last month’s Perfume 101 classes, it will be a lot of fun! It will be held on Wednesday, February 23rd, from 7 to 8:30pm. Cost is $15 – $10 of which can be applied toward any purchase made that night. On Thursday, February 24th, from 7 to 8:00pm, we’ll debut our first special topic of the month: the rose. We’ll smell and discuss some of the classic rose perfumes, and we’ll also explore some of the newest riffs on the rose theme. Cost for this one is $20, and includes a sample package with a focus on the rose note. as soon as possible to reserve a spot.